Perfect Bobbed A3 with less than 500 miles on the original truck. Has offroad radio system, off road GPS and removable seats in the bed of truck. Drives like a reg pickup and full street licensed and LED light bars mounted in the front and both side and rear. Perfect off road vehicle. Drives and runs perfect. 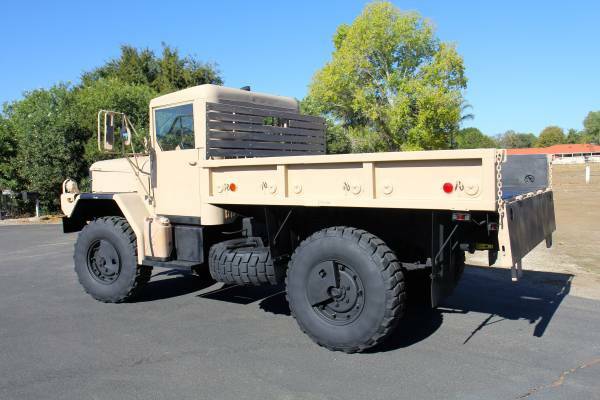 Complete re paint and truck complete gone thru and all worked done by FTF tech who does all the upgrade on military vehicles. Not a homemade project. CTIS, auto transmission, power steering etc. Truck need nothing and ready to show or off road.